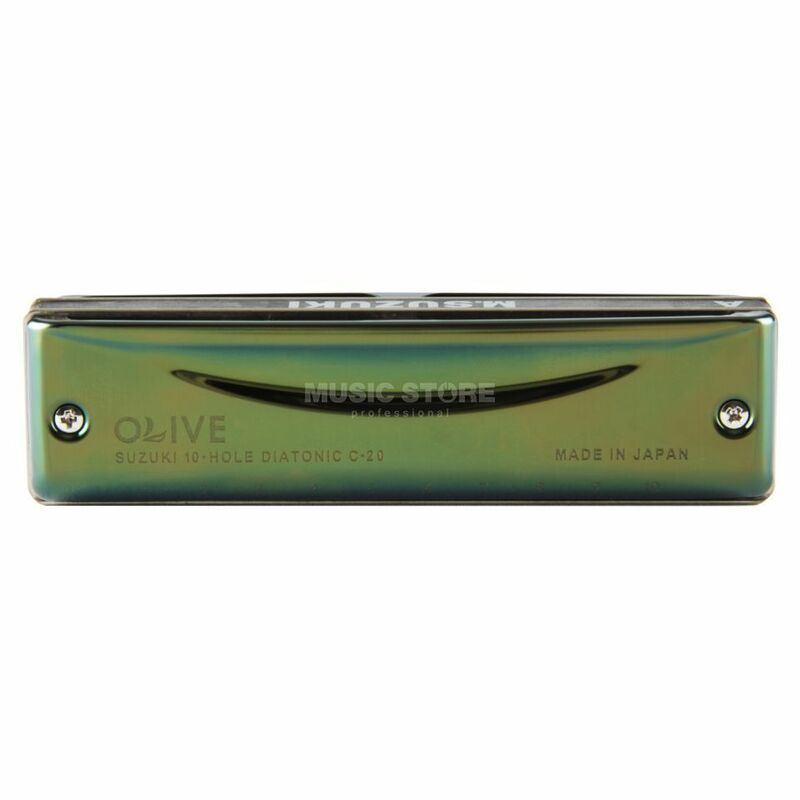 The Suzuki Olive in C-Major is professional player’s instrument that is designed with a distinct Olive Green hue manufactured via a high-tech process producing an instrument with excellent tone quality and capable of lasting a long time. These high-tech achievements come from a Suzuki tradition of continual improvement of manufacturing processes and a never-ending search for new ideas, backed up by the famously high standards of Japanese craftsmanship, forging a pleasing harmony between tradition and innovation. The "Made in Japan" stamp on Suzuki harmonicas guarantees the player a consistently high quality of manufacture and service.